There are 366 different Starters of The Day, many to choose from. You will find in the left column below some starters on the topic of Place Value. In the right column below are links to related online activities, videos and teacher resources. A lesson starter does not have to be on the same topic as the main part of the lesson or the topic of the previous lesson. It is often very useful to revise or explore other concepts by using a starter based on a totally different area of Mathematics. A Thousand and One: Develop a quick way of mentally multiplying any number by 1001. All for 100: Can you write an expression for 100 which uses all the digits 1 to 9? Big Order: Estimate or calculate then put the large numbers in order of size. Broken Calculator: Use only the 1, 5 and 0 keys on a calculator to make given totals. Figuratively Speaking: Write the numbers written as words using digits. How Do You Do? : A little lateral thinking will help you solve this number puzzle. Know Your Place: Without a calculator perform some calculations requiring a knowledge of place value. Largest Product: Arrange the numbers to produce the largest product. Mystic Maths: Work out why subtracting a two digit number from its reverse gives a multiple of nine. Nine Digit Sum: Arrange the digits one to nine to make a correct addition calculation. One Digit 100: How many ways can you write an expression for 100 which only uses the same digit repeated and any operations? Render Digitful: Find a calculation for the current year which uses all of the digits 1 to 9. Shadow Sums: Make sums from the three digit numbers given. Siam Symbols: Can you work out what each of the strange symbols represents in these calculations? Writing Cheques: Complete some imaginary cheques, the amount needs to be written in words. Wrong Way Round: Find calculations which written back to front give the same answer. Write the numbers given in words as digits and vice versa. "This resource has made a great deal of difference to the standard of starters for all of our lessons. Thank you for being so creative and imaginative." "I think this is a brilliant website as all the students enjoy doing the puzzles and it is a brilliant way to start a lesson." "I have used your starters for 3 years now and would not have a lesson without one! Fantastic way to engage the pupils at the start of a lesson." "It's great to have a starter that's timed and focuses the attention of everyone fully. I told them in advance I would do 10 then record their percentages." "I think that having a starter of the day helps improve maths in general. My pupils say they love them!!!" "Thank you so much for your wonderful site. I have so much material to use in class and inspire me to try something a little different more often. I am going to show my maths department your website and encourage them to use it too. How lovely that you have compiled such a great resource to help teachers and pupils. I love you website I use it every maths lesson I have with every year group! I don't know were I would turn to with out you!" "My year 8's absolutely loved the "Separated Twins" starter. I set it as an optional piece of work for my year 11's over a weekend and one girl came up with 3 independant solutions." "I would like to thank you for the excellent resources which I used every day. My students would often turn up early to tackle the starter of the day as there were stamps for the first 5 finishers. We also had a lot of fun with the fun maths. All in all your resources provoked discussion and the students had a lot of fun." "3 NQTs in the department, I'm new subject leader in this new academy - Starters R Great!! Lovely resource for stimulating learning and getting eveyone off to a good start. Thank you!!" "Really good site. Lots of good ideas for starters. Use it most of the time in KS3." "A set of real life savers!! Keep it up and thank you!" "What a brilliant website. We have just started to use the 'starter-of-the-day' in our yr9 lessons to try them out before we change from a high school to a secondary school in September. This is one of the best resources on-line we have found. The kids and staff love it. Well done an thank you very much for making my maths lessons more interesting and fun." "Love using the Starter of the Day activities to get the students into Maths mode at the beginning of a lesson. Lots of interesting discussions and questions have arisen out of the activities. Thanks for such a great resource!" "Thanks very much for this one. We developed it into a whole lesson and I borrowed some hats from the drama department to add to the fun!" "I used this with my bottom set in year 9. To engage them I used their name and favorite football team (or pop group) instead of the school name. For homework, I asked each student to find a definition for the key words they had been given (once they had fun trying to guess the answer) and they presented their findings to the rest of the class the following day. They felt really special because the key words came from their own personal information." "I use Starter of the Day as a registration and warm-up activity for my Year 6 class. The range of questioning provided is excellent as are some of the images. I rate this site as a 5!" "We recently had an afternoon on accelerated learning.This linked really well and prompted a discussion about learning styles and short term memory." "Thank you for sharing such a great resource. I was about to try and get together a bank of starters but time is always required elsewhere, so thank you." "This website was brilliant. My class and I really enjoy doing the activites." "An absolutely brilliant resource. Only recently been discovered but is used daily with all my classes. It is particularly useful when things can be saved for further use. Thank you!" Best wishes from Inger Kisby"
"A Maths colleague introduced me to your web site and I love to use it. The questions are so varied I can use them with all of my classes, I even let year 13 have a go at some of them. I like being able to access the whole month so I can use favourites with classes I see at different times of the week. Thanks." "I am thankful for providing such wonderful starters. They are of immence help and the students enjoy them very much. These starters have saved my time and have made my lessons enjoyable." Positional notation or place-value notation is a method of representing or encoding numbers. Positional notation is distinguished from other notations (such as Roman numerals) for its use of the same symbol for the different orders of magnitude (for example, the "ones place", "tens place", "hundreds place"). This greatly simplified arithmetic and led to the quick spread of the notation across the world. Countdown: How close can you get to the target by making a calculation out of the five numbers given? Greater Than: The teacher has a set of six cards numbered 1 to 6. They are placed face down on the teachers desk so that the teacher can pick up one at random which students then have to fit onto a grid. Online Psychic: Let the psychic read the cards and magically reveal the number you have secretly chosen. What is the mathematics that makes this trick work? Place Value Chart: This is a visual aid designed to be projected onto a whiteboard for whole class exposition about place value. Centexpression: Arrange the numbers from 1 to 9 to make an expression with a value of 100. Four Sum: Arrange the given number tiles to make two 2 digit numbers that add up to the given total. Great Expectation: An interactive online activity requiring logical thinking and a certain amount of luck to place the digits on the correct side of the inequality sign. Largest Product: A drag and drop activity challenging you to arrange the digits to produce the largest possible product. Numbers in Words: Find the five lettered mathematical words by matching numbers with their equivalent in words. One Digit Only: Find expressions using only one digit which equal the given targets. One Minute Maths: A challenge to mentally add numbers together without making the classic place value mistakes. Place Value: Do this online exercise to show you understand place value for decimals and integers of any size. Quick: Can you multiply a number by 1001 in your head? This exercise provides practice in this and other similar challenges. Rounding SF: A self marking exercise requiring students to round numbers to a given number of significant figures. The Value of Places: Test your understanding of place value by comparing the values of digits in different positions within numbers. Words in Digits: Write the numbers given in words as digits and vice versa. Place Value Introduction: We write numbers using only ten symbols (called Digits). Where we place them is important. Place Value with Decimals: A Khan Academy video explaining place value. The activity you are looking for may have been classified in a different way from the way you were expecting. 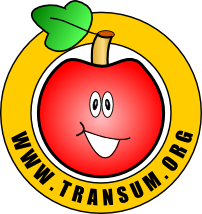 You can search the whole of Transum Maths by using the box below. Is there anything you would have a regular use for that we don't feature here? Please let us know. This is a visual aid designed to be projected onto a whiteboard for whole class exposition about place value. Tools > Internet Options (Internet Explorer) then paste the URL into the homepage field. "Love the activities as they provide a good range of challenging open and differentiatiated questions that teachers may not think about asking."